Dr. Jeehun Kim and Dr. Jangham Na are visiting scholars in the department of Curriculum and Teaching at Teachers College, Columbia University, who are both studying topics relevant to the broader theme of multiculturalism in South Korea. 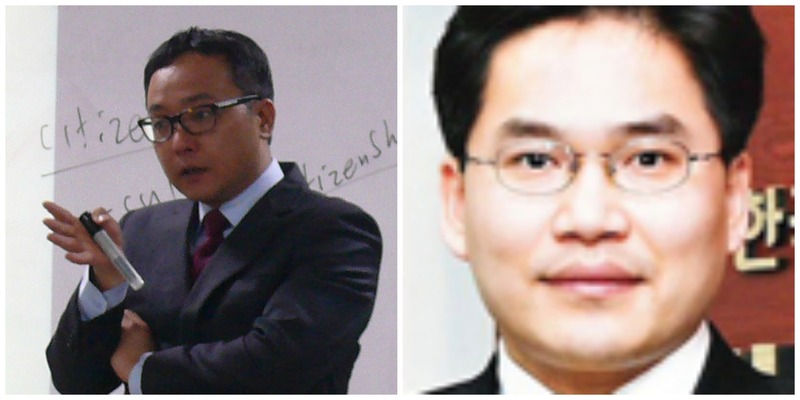 Jeehun Kim is an Associate Professor in the Department of Social Studies Education, Inha University, and Jang-ham Na is an Associate Professor in the Department of Education at Chosun University. After a recent presentation of their work at Teachers College, they sat down with Eun-Kyoung Chung and Deirdre Faughey to discuss their research as well as their teaching experiences around the issue of multiculturalism in South Korea. Can you say a little bit about your background and what brought you to Teachers College this semester? I graduated from Teachers College 11 years ago. I majored in IED, International Education Development, and Curriculum and Teaching. Nancy Lesko was my sponsor at that time. After graduating I worked as a researcher in KEDI (Korean Educational Development Institution) and then I moved to Chosun University, where I served for 7 years before I came here. I came here to renew my brain, and I want to publish some articles in the United States. Can you tell us what your current article is about? It’s about analyzing public advertising practice on multiculturalism in Korea. By analyzing government sponsored PSA (public service advertising) I want to find out what their assumptions are on multiculturalism. I am a sociologist, and I’m particularly interested in education and immigration and family issues. I am also on sabbatical semester, and I work at Inha University in Korea. There, I work at the department of Social Studies education. So there is a link between TC and the institution I work for because both belong to a graduate school of education. As a sociologist who works at the institution for the future teachers I wanted to spend some time at TC particularly working in an environment with social scientists who are educating future teachers and educational specialists. That is one of the reasons why I chose to come to TC. If I go back to the topic of what I’m doing, I have worked on the family issues of immigrants particularly in Singapore and Korea; basically, I am interested in families of migrants crossing the borders between East Asia and Southeast Asia. So in the past I worked on the Korean community in Singapore, in the Philippines and other Southeast Asian countries. Now, I work on Southeast Asian families in Korea, too. The current research that I have worked on while here is about cross-border marriage migrant families in Korea. This cross-border marriage migrant family is very much a pressing issue in contemporary Korean society because about 10% of the new marriages are coming from this union. This group has become a significant minority group in Korea. The implications for them and for Korean society is huge because many Koreans still believe that Korean society is homogenous, but the increasing number of other types of migrants together with these cross-border families are changing the demographic and other landscape of Korean society. Their children also become a noticeable group in education. Even though we cannot generalize, these families belong to low-income group because of the parental characteristics, which tends to be disadvantaged compared with other people in the society. Policymakers are paying attention to what would be the future implications for the children. So that is one of the reasons why I am working on this population. Do you know what the schools are doing to cater to the migrant population? Are they doing anything differently because of the new population? Are they teaching in a new way or structuring schools any differently? Lots of things are happening. This type of migration in Korea began just about 20 years ago. The children of these families became significant only about ten years ago when they started to enter primary school. In the past, school authorities and the government were puzzled what to do with them, and this population, these children, are not evenly distributed geographically over the country. At the same time we need to consider that school curriculum, particularly textbooks, are centralized in Korea. There are certain guidelines (set by the Korean Ministry of Education) that the textbook publishers have to follow and of course the guidelines now contain some issues—such as multiculturalism, as well as issues about discrimination. However, whether what is in the textbook is taught or received well is another issue. Also, even though this group is increasingly more significant, sometimes it’s hard to notice who they are based on their appearance. It’s a little bit different from the United States because it’s not exactly a racial issue even though it’s quite similar. Also, this population tends to be concentrated in certain areas, whereas in many other areas there may only be one, or less than one, student in a classroom. This is the background and scholars, teachers, and (central and local) governments, are trying hard to learn what to do. I think now we are in a stage where we are trying to find out what we can learn from abroad and what can be applied to Korean society. Some lessons may be applicable and some might not. …and yet the government is making public service announcements to help the population think about this issue and address it. So, it seems it has caught the attention of the leadership of the country. What do you think about the response to this issue? Is it something that is getting a lot of attention? I will clarify what the educational institutions do to prepare teachers. I think it’s problematic because they believe there are certain ways to prepare teachers. For the current teachers they usually do workshops, one or two days, and then they think they got “the shot” and they know it. So, also, for the student teachers, they are encouraged to take many courses on multiculturalism, two or three. I think they tried to list the cultural characteristics of every group, tried to master it, which is impossible. That’s problematic. But in my philosophy we have to change our belief system, be able to look at ourselves and see others. We have to gradually change our perspectives. Because usually I just read a lot of articles and I don’t have any actual experience working with teachers, from what I learn we have the multicultural discourses in Korea and there is a real distinction between “us” and “others.” That’s why the textbooks show, “Oh, this is about others… for others….” Actually, when I was in your presentation I was quite interested in your choice of language. You kept using terms like “cross-border migration” and “multicultural families.” Why did you use these specific terms? It’s an important and interesting issue. For me, I have thought about how to refer to them and there are two important issues involved, at least. My audience here, whether people here in the states understand what I intend it to mean, that is one thing. The second thing is that the term that I use actually captures the group that I intend it to. These two are not identical, because first of all if I say “cross-border migrants” in Korean language, then not many people would understand what I mean. Only very few scholars would understand. But I think this is the right way of expressing the term. And also we need to consider the immigration context and migration pattern because that type of migration involves only one spouse from another country, whereas the other spouse is Korean—they get married, foreign-origin spouses acquire Korean citizenships, and their children are automatically Korean. An important thing is that Korean society is not an immigrant society, unlike the United States, and people cannot claim citizenship by being born in Korea. Within the immigration literature, the phrase “immigrant family” can be defined as such if at least one family member is an immigrant. But calling these families “immigrants” also carries different notions. Even the “multicultural” family carries negative meaning. …Culture refers to different race. …Even if just one parent is an immigrant. Yes. And the term “multiculturalism” itself is more positive, even. However, “multicultural family” carries the opposite meaning in the everyday conversation of the common people. At the beginning, not giving a negative image, scholars and the media intentionally coined a new term for different type of migrant. And the “multicultural” population (in Korean language) is actually an endeavor originally not to give any negative image. But as time goes by, in everyday conversation people understand it differently from the original intention. So that in the United States, in the West, if you say “immigration” it doesn’t have so much negative connotation. When you hear about immigrants in the United States, what kind of attitude do you hear? Yes, not “the same.” A lot of people might not want to feel that way. Is there any neutral term? What is for sure is that multicultural, in Korean context, carries very different meaning, close to the opposite of what we originally intended. In Korea, when they think about the multicultural family they think about Southeast Asian people. Darker skin, not white. Right, and in America it’s a racial issue as well. It also carries… it’s the woman that came. Also, both are poor. Even though there is the same type of marriage, between a Korean woman and a Caucasian man, they belong to the same type in the government statistics, but in everyday conversation people think differently. That’s one of the problems inherent in Korean society. There are different categorizations of multicultural families. And you mentioned that this really started about 20 years ago? Before the year 2000, there were maybe only a few articles on multicultural issues in Korea, but right now there are more than 2,000 in a year. Did something change in terms of government policy? Did something happen 20 years ago that started the migration, or is it something that was always happening and has only recently been recognized? Yes and no. It really depends on what we are looking at. Almost all districts of the city have an office for multicultural population. There are community centers set up and there are certain welfare services available. In comparison to other disadvantaged populations in Korea—say, single parent families—they are receiving more support from the government. That is a change. Also, another change is that at least one lawmaker comes from marriage migrant herself—Jasmine Lee, who is a Filipina, became a member of the National Assembly (the equivalent of Parliament or Congress). So, it is a significant change but there are many other areas where there is more to be done. One last question. Since you are a teacher educator, I wanted to ask you… I assume you are trying to use the Public Service Advertising as your text in the classroom. Do you use the visual texts in class with your student teachers? How do you find this approach. Is it effective? I remember one moment, maybe three years ago, the first time I taught at the College of Education. Most of the students were practicing teachers. Someone raised her hand and asked me, “Is there a simple way I can use this in the class?” I said, “No, there is no such way.” They expect to get something. At first, they didn’t enjoy my class but by the end of the semester they were able to understand what I meant and then they became more critical about their engagement with multiculturalism. When it comes to multiculturalism, depending on what social background you have, sometimes you have some privilege compared with others. But the privilege will be gone in other places. So we have to be more critical. Especially nowadays the media is really powerful. That’s why I think using that kind of media, visual text, is very careful. And when my students see the video, they think it’s okay but as time goes by they become more critical abut it. They are able to see the hidden assumptions. I’m fascinated by what sounds familiar to me. We see this in America, and my own students sound very similar to your students in terms of wanting something concrete that they can do, a solution to every problem going in. I think the student teachers here as well have a similar response to classes that we have here at Teachers College about multicultural education. That’s very interesting. One thing that I think useful for Korean context, sometimes being experienced on the ground helps a lot because I teach multiculturalism related courses in my school and students in my school also sometimes ask similar questions. I think that they learn a lot from a program of activities between university students as a mentor, and middle or high school students as a mentee. University students are meeting secondary school students with a multicultural background, and by meeting them and guiding them one-on-one both university and secondary school students learn a lot. If they do not actually meet and talk, then how could they learn or understand? Through this experience I think future teachers are learning about multiculturalism from the field and the ground. After such experience, they can then understand the theories, much better. Also, sometimes the movies and the novels about this population also work as an important avenue for broadening our horizon about the migrant population and there are several important Korean movies about it. Also these days Korean TV programs and movies often deal with the migrant population and sometimes I’m quite amazed by movie directors’ ability to capture the reality of the experiences that these people are having. A lot of movie viewers now understand much better. It sounds like there is a big effort to be accepting and welcoming – from the PSA and the movies and books. But are there also very negative stereotypes portrayed in the media? Is all of this effort a result of some of the negative portrayals of the population? At least in the public sphere, I don’t think portraying a negative stereotype is legally allowed. However, there is a grey area. There is a binary. In reality, the news programs show negative, but in movies, in fantasy, they show that they are nice—the population we have to protect. Comments are made anonymously. A lot of time these comments don’t really reflect public ideals . It will be interesting to see ten, twenty years from now, what will happen. Thank you so much for sharing your work with us. We really appreciate your time! Eun Kyoung Chung (Contributing Editor) is a doctoral candidate in the department of Curriculum and Teaching at Teachers College. She also completed an Ed.M. at Teachers College and a Masters and Bachelors degree in Education in Seoul, South Korea. Chung worked as a Korean language college instructor in Seoul for 6 years before going to the U.S. She is interested in immigrant and multicultural education. 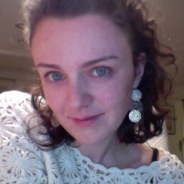 Deirdre Faughey (Founding Editor, Publisher) is a doctoral student in the Curriculum and Teaching Department at Teachers College, Columbia University, where her work focuses on new teachers, teacher evaluation, and school change. She is also the Managing Editor of International Ed News.